The dealer Aiatäht team from Estonia also visited the Laski manufacturer display and had change to see the Laski new product models on the spot. In this fair you will find Laski equipment both in the indoor and outdoor demo areas + some separate layoutsin the general mess area. It is also a pleasure to share NEWS! The first autonomous stump cutter worldwide - LASKI F 500HR. 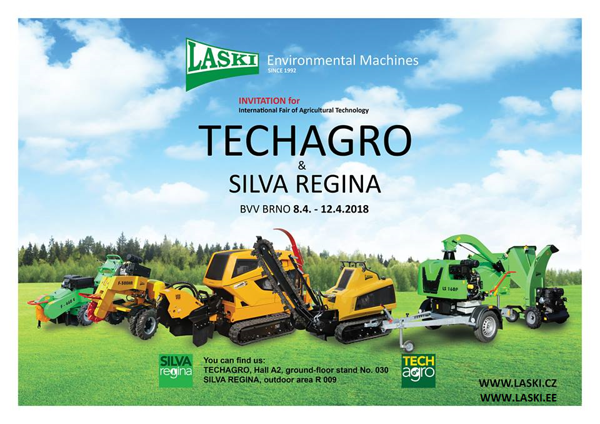 ФОТО ГАЛЕРЕИ о выставке Techagro 2018 и производстве LASKI там.